Q. Is Joshua Hodgetts, engraver, the same Hodgetts of Hodgetts, Richardson, and Son? Thank you for your question! 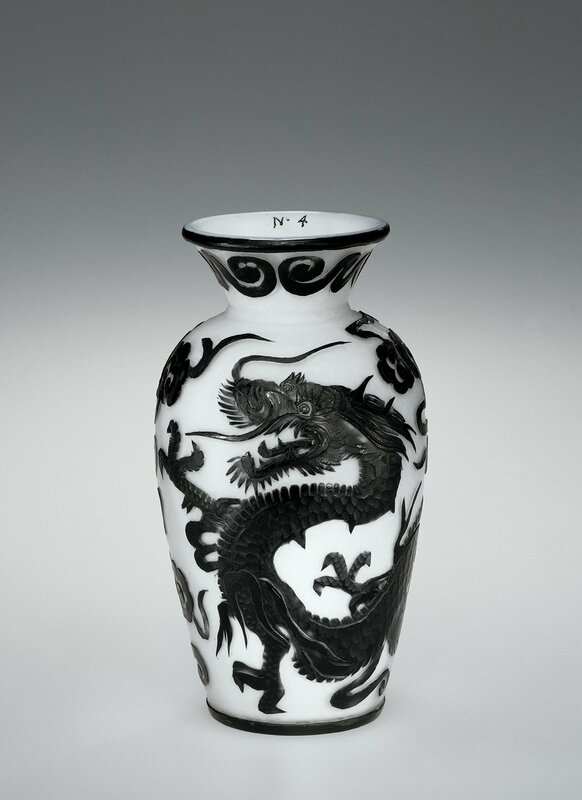 Joshua Hodgetts, engraver (see image of cameo vase from The Corning Museum of Glass collection), is not the same Hodgetts as Hodgetts, Richardson, and Son. The Hodgetts of Hodgetts, Richardson, and Son is William James Hodgetts, who was the nephew of Benjamin and Jonathan Richardson. Before it was known as Hodgetts, Richardson, and Son, the firm was known as Hodgetts, Richardson & Pargeter. Hajdamach, Charles R. British Glass, 1800-1914. Woodbridge, Suffolk, England: Antique Collectors' Club, 2003. Newman, Liz. Records of Henry G. Richardson & Sons Ltd., 1725-1986 [Archival Inventory]. [Coseley, West Midlands]: Dudley Archives and Local History Service, 2005.